Many corps will begin their off-season audition camps within the next few weeks and are actively recruiting members to join their ranks. 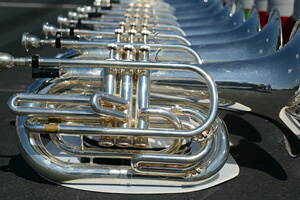 As these groups get ready for 2013, we've assembled a handy webpage to help you get your start in becoming the next member of Marching Music's Major League. Visit DCI.org/audition to find a variety of resources including a list of audition dates and locations, links to additional information about each corps, and an age calculator to help you determine if you are eligible to march this summer.